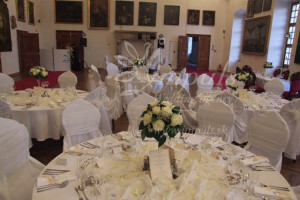 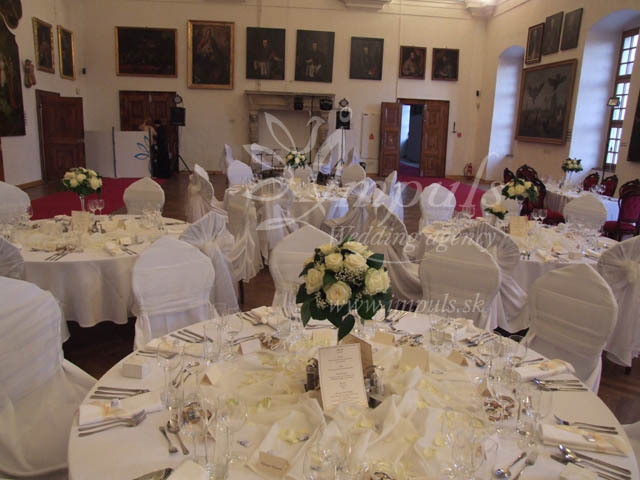 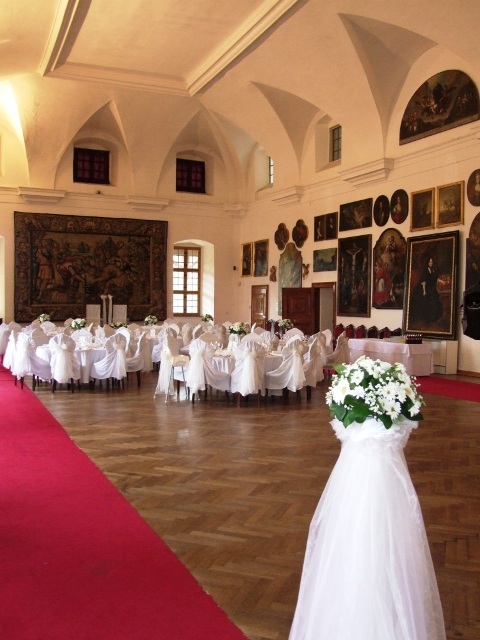 If you plan the big wedding (over 80 guests), you need a venue with enought space to move. 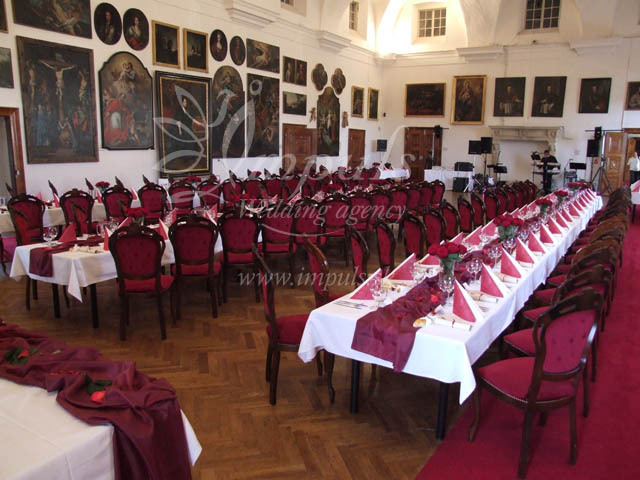 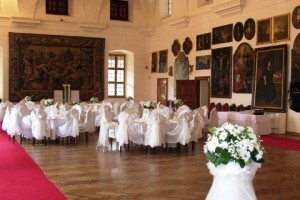 The biggest hall of Bojnice castle possible to rent is the Hunyady hall. 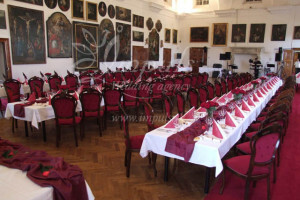 You may seat at about 120 people together with organisation team and the dance floor. 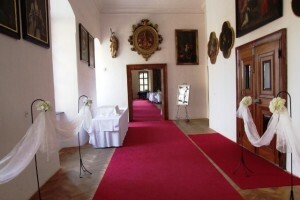 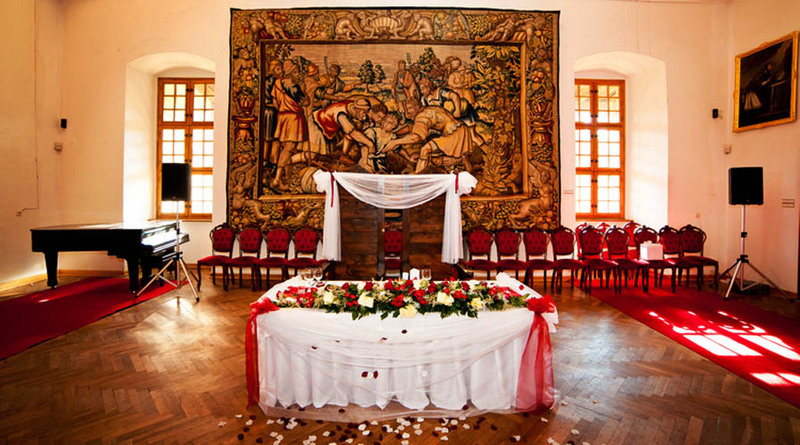 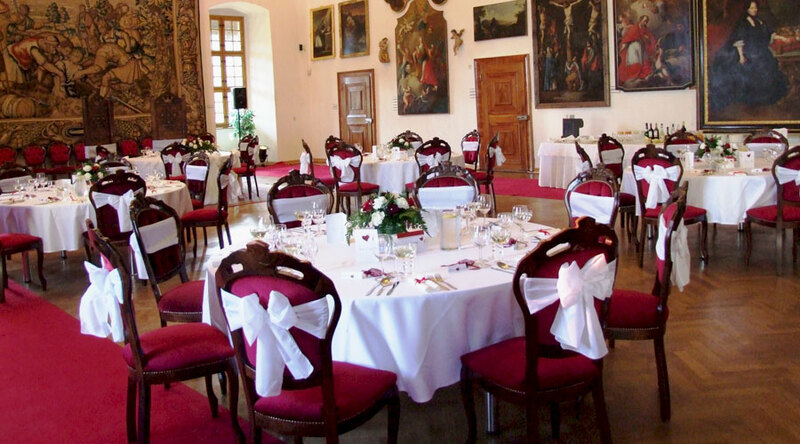 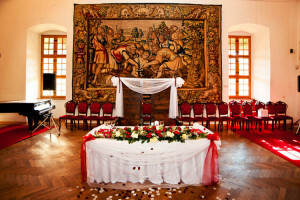 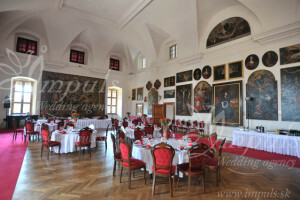 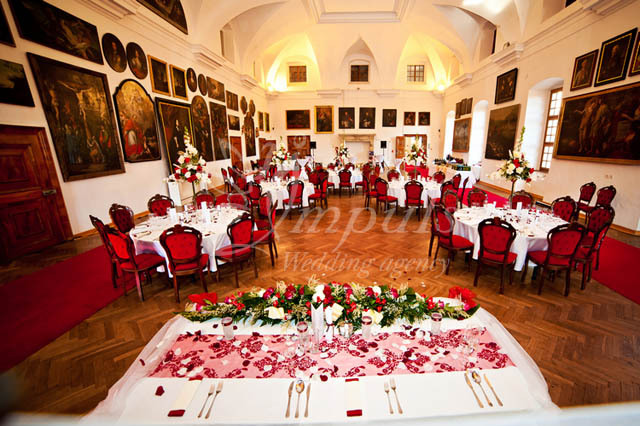 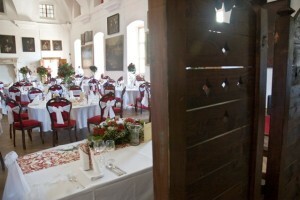 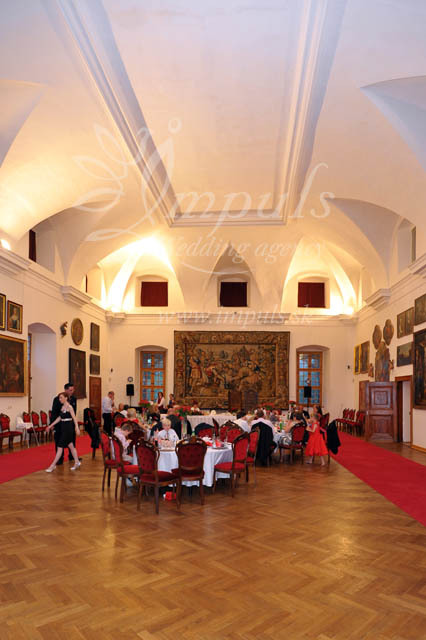 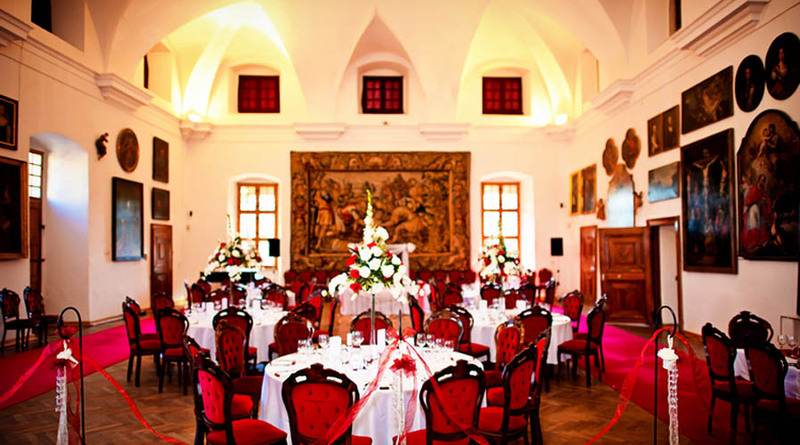 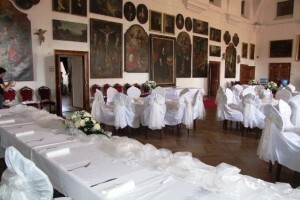 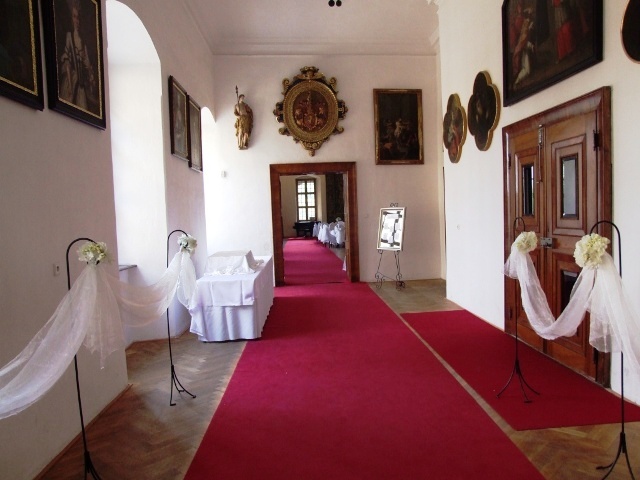 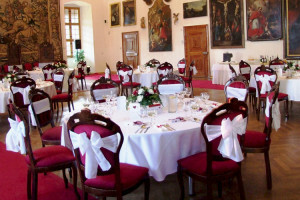 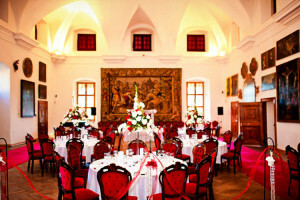 Watch the short panorama of the Wedding Venue Hunyady Hall, Bojnice castle, Slovakia. 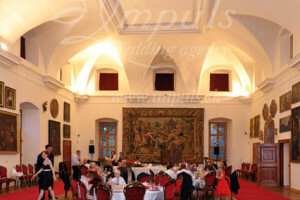 Hunyady Hall is interconnected with the Saloons (situated just beside the hall) and Column Hall (situated just underneath the hall) what is an advantage in case of bigger group or unpleasant weather. 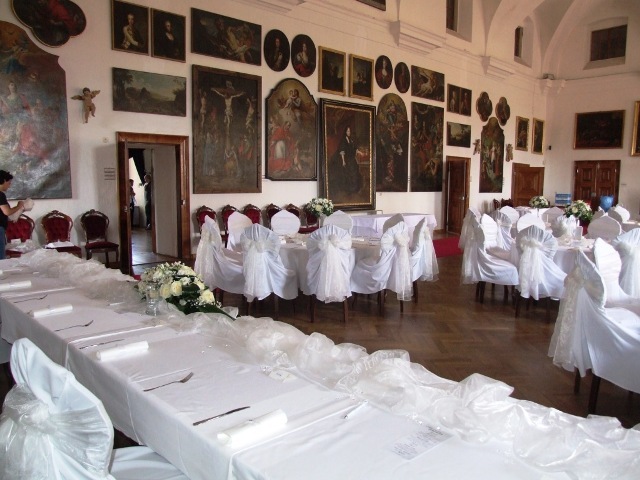 We plan and take care of every detail of your big wedding at Bojnice castle Hunyady Hall for you to enjoy your wedding in full. Contact us for more info.